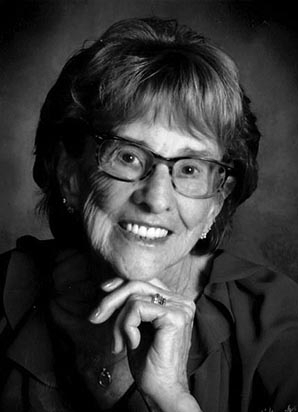 MIDDLETON/MARTINSVILLE/CROSS PLAINS-Dolores Mary Ann (Laufenberg) Simon, age 92, passed away surrounded by her loving family on Jan. 23, 2019, at St. Mary’s Hospital in Madison. Dolores was born July 15, 1926, in the town of Springfield, the daughter of Adolph and Christina (Krantz) Laufenberg. She attended St. Peter’s Catholic School in Ashton. Dolores married the love of her life, John M. “Jack” Simon, on Aug. 5, 1947, at Holy Redeemer Catholic Church in Madison. Dolores was a stay-at-home mother until her children were in school, and her house was always full of love and laughter. She babysat for other children and spent 12 years as a Nursing Assistant at Middleton Village. Her kind nature and warm heart were admired by everyone who was lucky to know her. Throughout her life, Dolores loved horses and gardening, and she had a flair for sewing and crafts. She always looked forward to having lunch with family and friends, and those meals were always brightened by her smile. Dolores is survived by her children, Linda (Daniel) Pertzborn, Samuel (Gladys), Jennifer (Terry) Utter, Randall (Joyce), John (Katie), Deanna (Dennis) Kessenich, Jeffrey (Michelle), Sandra (Ken) Utter, Marla, Charles, Annette (Kevin) McWilliams and Marcia (Ray) Parkin; sisters and brothers-in-law, Greg Dahmen, Elaine Busch, Emogene (Vern) Frederick, Alice Simon, Diana (William) Scherer and Judy (Paul) Olson; 31 grandchildren; 44 great-grandchildren; and many dear friends. She was preceded in death by her husband; parents; in-laws, Emma and John H. Simon; grandson, Nathan Utter; great-grandson, Charlie Frohne; great-granddaughters, Rylee Payne and Christina Simon; sisters, Agnes (Barney) Endres, Lucy (Joseph) Meinholz and Cordelia (Peter) Meinholz; brothers, Peter (Leona) Laufenberg, Matt (Betty) Laufenberg, Joseph Laufenberg and Jerome (Della) Laufenberg; and Jack’s family, Magdalen (Roland) Luxton, Lorraine (LaVerne) Hellenbrand, Mary Ann Dahmen, Donna (Fritz) Statz, Stanley Simon, Marlene (Arnold) Endres and Marland Busch. A Mass of Christian Burial was held at St. Bernard Catholic Church, Middleton, at 11 a.m. on Jan. 28, 2019, with Fr. Brian Wilk presiding. Burial was held at St. Martin of Tours Martinsville Cemetery at 2 p.m. Visitation was held at the church from 3 p.m. until 6 p.m. on Jan. 27, 2019, and again at the church from 9 a.m. until the start of the Mass on Monday. We would like to thank all the doctors and staff at SSM Health for their tender care of mother throughout the years and especially the last few days of her life. In lieu of flowers, memorials may be made in Dolores’ name to St. Bernard Catholic Church or to the Sara’s House for Unwed Mothers. Online condolences may be made at www.gundersonfh.com.